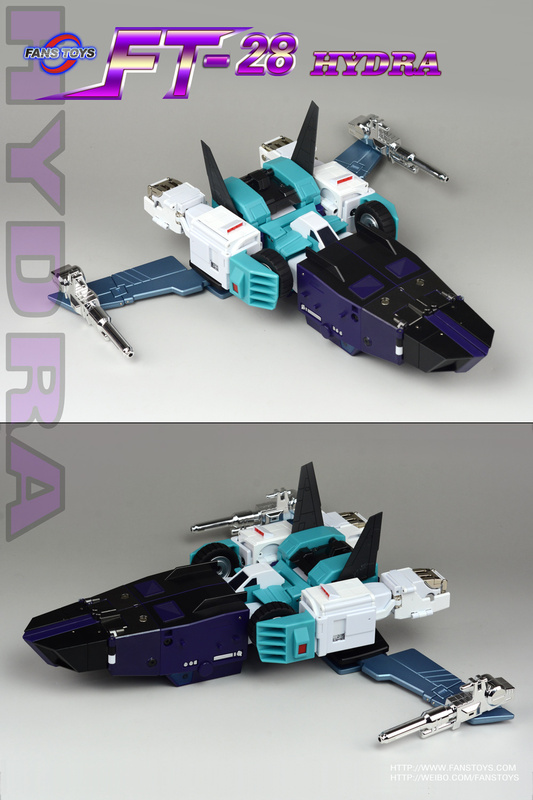 Thanks 2005 Boards member and Fans Toys spokesperson, dalianjj, we have an extensive gallery of Fans Toys FT-28 Hydra (Masterpiece scaled Sixshot) Test Shot. 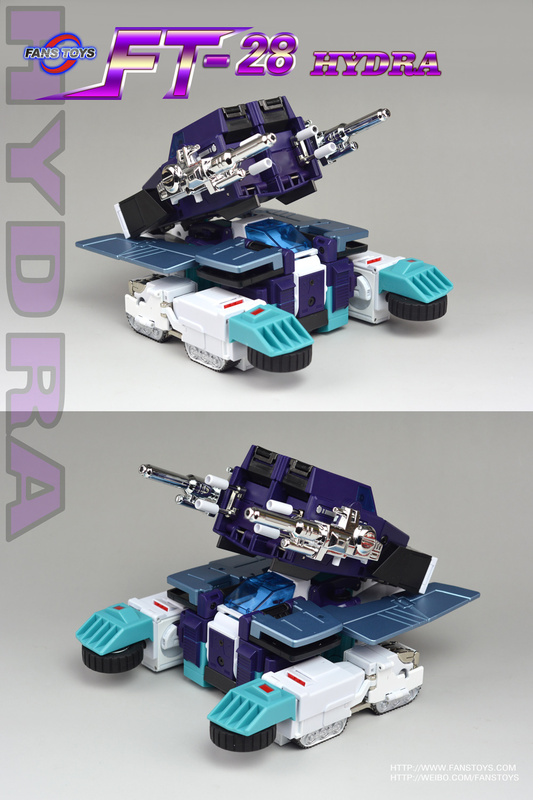 This is a very impressive take on the great G1 Decepticon sixchanger. 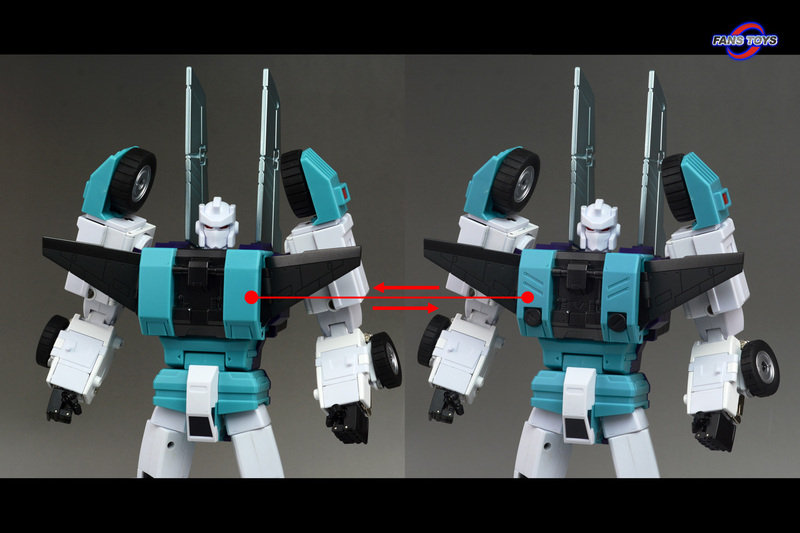 A very clean and neat design which is very similar to the G1 animation model in all his modes. 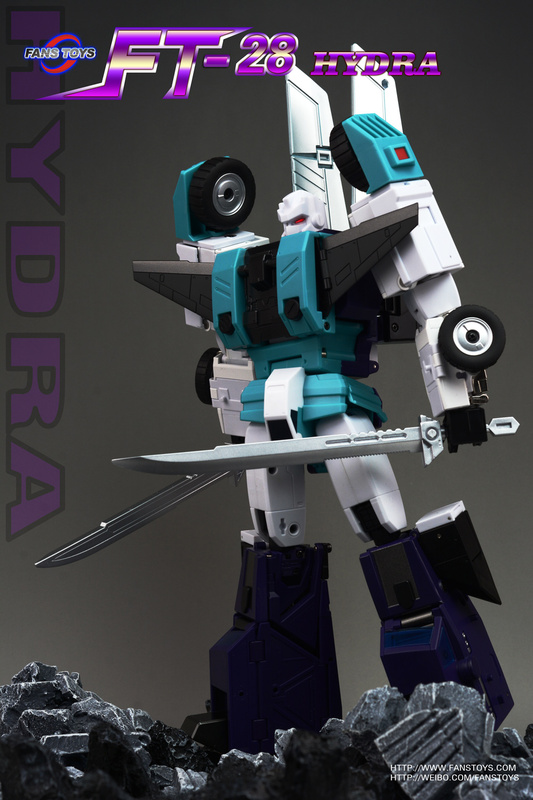 Besides his classics guns, he will include 2 cool ninja swords. 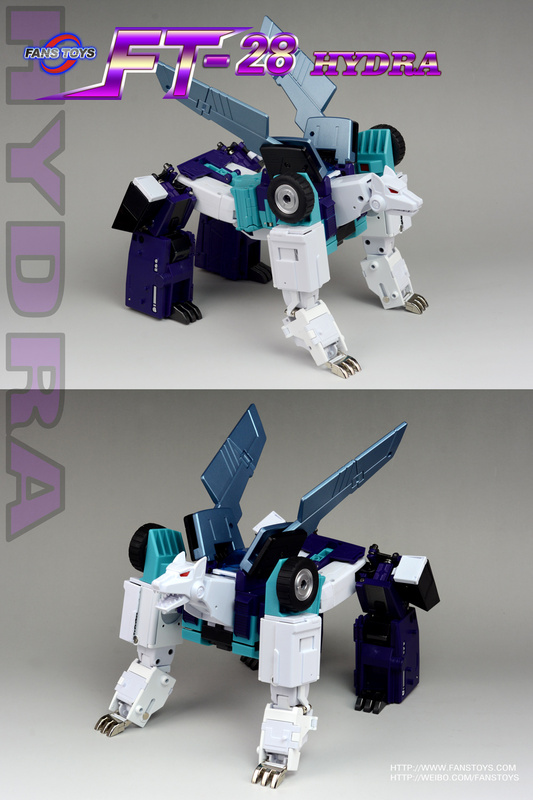 If you want to get an idea of his size, there are comparison shots with other Fans Toys releases like Fans Toys FT-18 Lupus (Masterpiece Weirdwolf) and Fans Toys FT-16 Sovereign (Masterpiece Galvatron). This is Fans Toys first test shot for this figure. According to dalianjj, the final product will have more paint details. 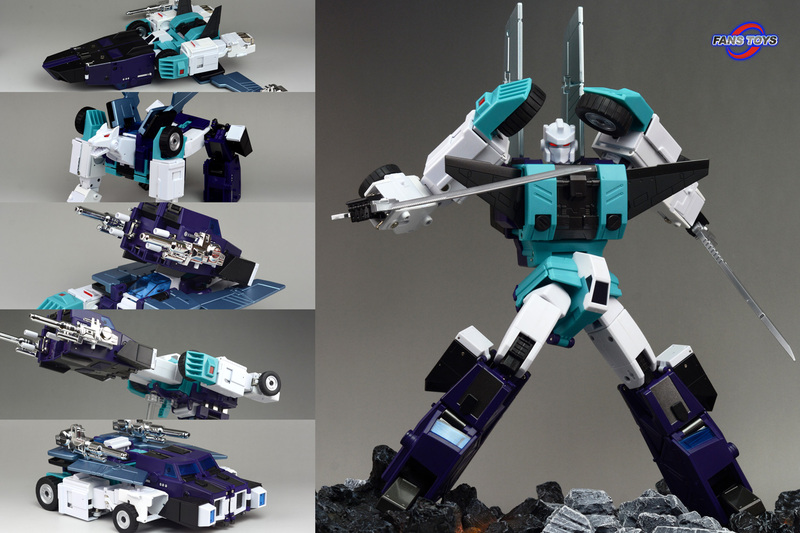 You can now click on the bar to check out all the images, then let us know your impressions on this new 3P alternative to Sixshot. Depends on the request ha ha! "I could watch it over and over again…"
Will you consider using FT Quietus instead of XTB Eligos for the final cut? I take it the full clip will feature Zeta Aerialbots? Only if someone wants to send me one XTB's does the job for me. 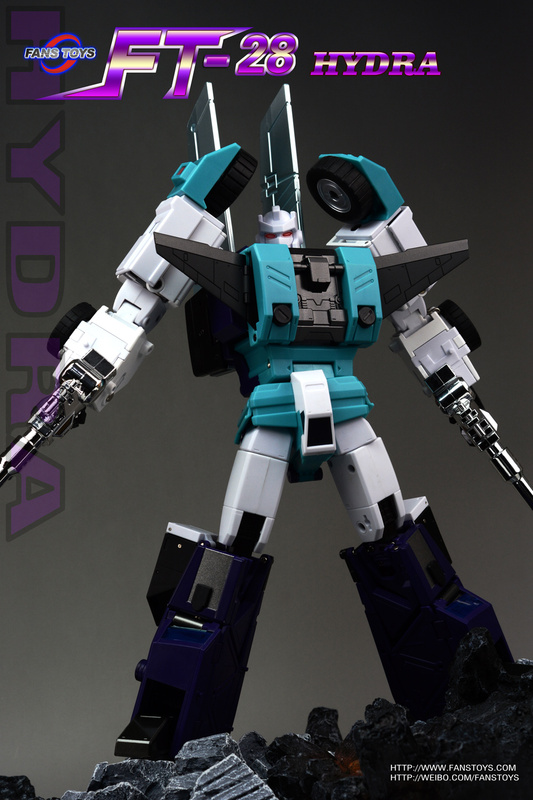 If FT's had come out first no doubt I'd own that one instead, but I can't justify double-dipping when there's nothing wrong with the Cyclonus I have. As for Aerialbots, now there I am waiting for FT! I could watch all the G1 series again but with the "magic touch" of @OptimusTimelord. Damn, that first shot is the craziest pose I've ever seen Hydra pull off, great work. I haven't transformed or messed with my Hydra for a month or so, but he's the figure in my collection I find myself staring at the most. Oh man… I finally got around to opening my copy of Hydra. What a beautiful bot!! In recent months I've added Hoodlum -> FT-10X -> FT-28 (Hydra) and the disparity in articulation between Hoodlum and Hydra is significant. Except for the quality finish, it's as if the figures were designed by two different companies. 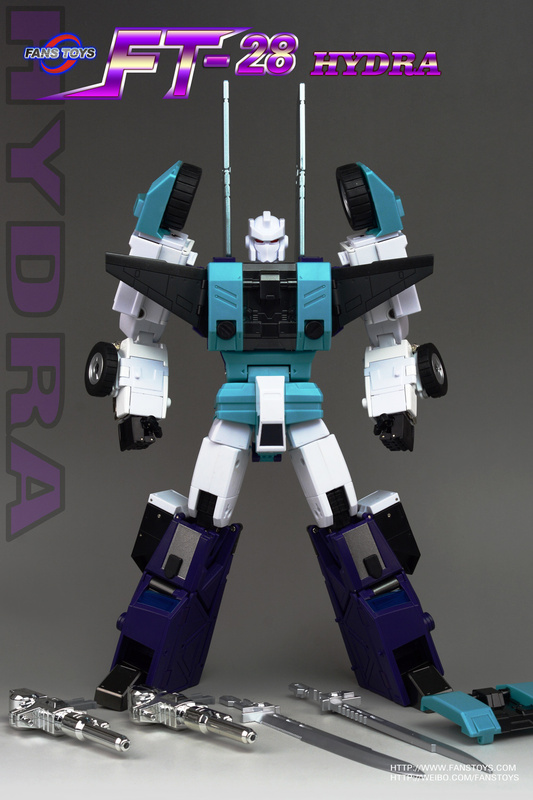 While I like the Skyfire/Phoenix character more, looking at Hydra purely as a 'bot… he would be my favorite of the three. His articulation really allows him to come to life. Please note that I'm the kind of collector who buys a bot, displays it, and doesn't transform it. What's wrong with that? I say you need six. 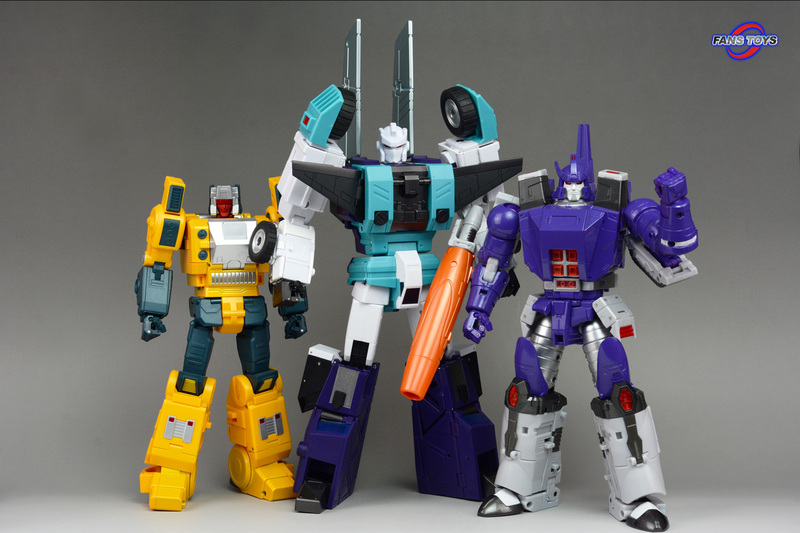 Just think how many insecticons we need to have …. Well, I also have IF's Sixshot so I guess I was doing well when I had two Hanzos, a Fuuma, and Hyda. 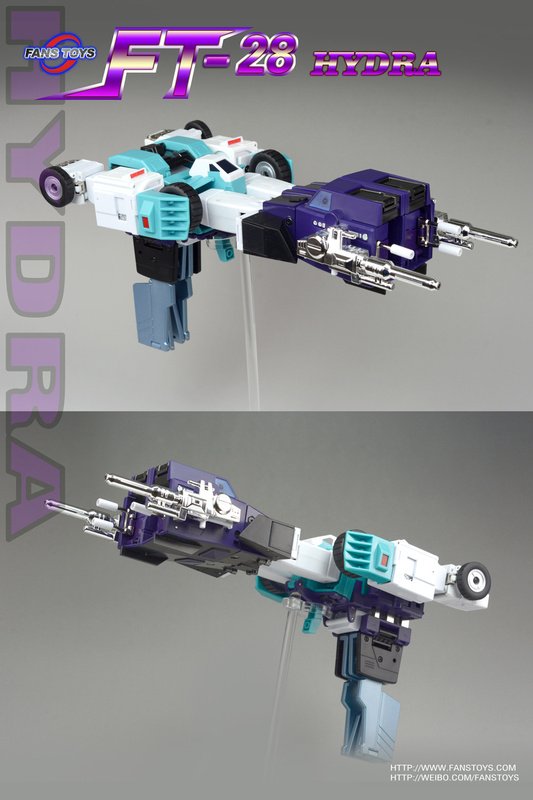 Only needed one more, perhaps the Titans Return/Siege Sixshot that Hasbro made? Regardless, I parted with Fuuma and one of the Hanzos, so I'm back down to three and only two of them are MP. And I'm much happier than trying to house all those other ones. I'm up to 4: Vintage G1 Sixshot (not reissue), Hexatron, TR Sixshot, and Hydra. I haven't been able to part with my Hanzos or my Fuuma yet. 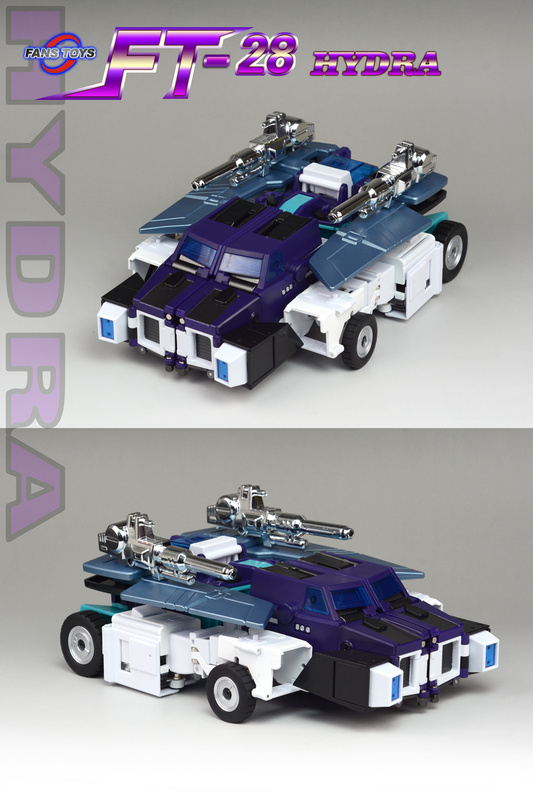 Hydra just isn't quite definitive enough a design for Six Shot to make me comfortable parting with those other renditions of one of my favorite G1 characters. So for now I have to house four MP SixShots. Note that this is from @ph4zed on the comparison thread. 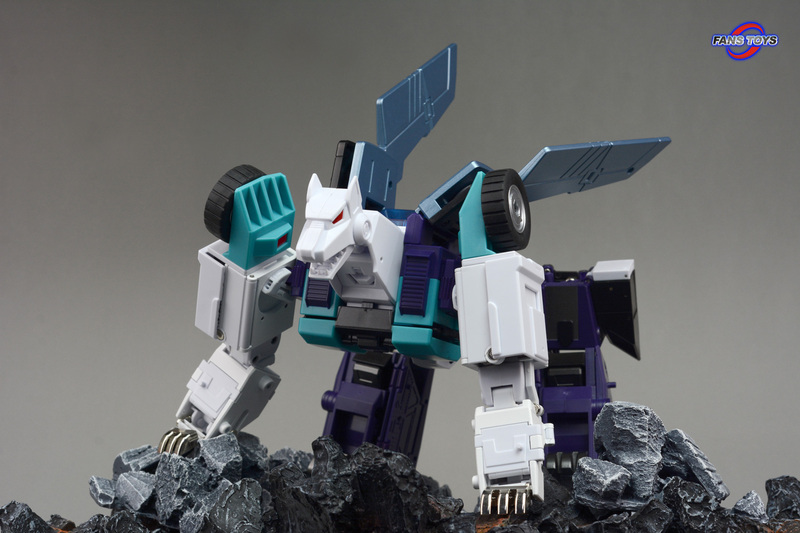 Hopefully, the reissue does away with the pearl paint. Luckily, there’s plenty of other figures to keep my wallet occupied until then. I don't think it will get a reissue. Not a popular enough character. Cracking figure though. Same goes here. I think Toyhax should think about creating toon style decos, there is a market for it.